Eddie Hearn, promoter for IBF, IBO, WBA, WBO heavyweight champion Anthony Joshua, is very frustrated that he was unable to get everything in position for a unification clash with WBC champion Deontay Wilder. 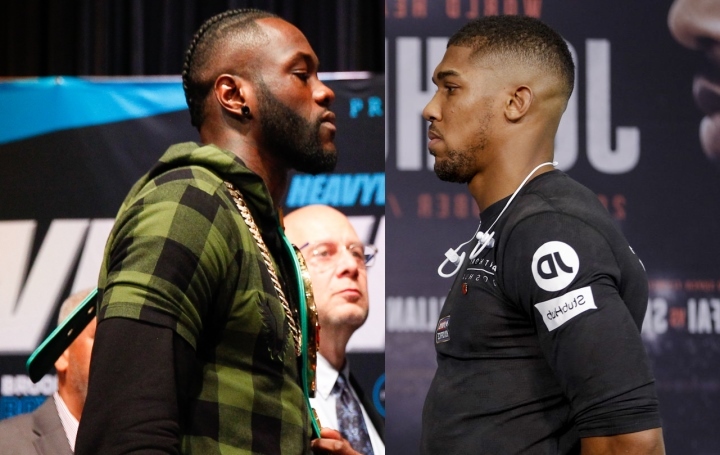 Hearn felt confident a week ago, after Wilder sat down with streaming service DAZN to discuss a multi-fight deal which included a bout with Joshua. But Wilder is expected to reject that deal, and announce on Tuesday that he's fighting Dominic Breazeale on either Fox Sports or Showtime. If Wilder would have signed with DAZN, a fight with Joshua would have been far easier to make - since Hearn is contractually tied to DAZN. Wilder is tied to Premier Boxing Champions, who have deals with Showtime and Fox Sports. Joshua is scheduled to defend his titles against undefeated Jarrell Miller on June 1 at Madison Square Garden in New York. Hearn told Sky Sports: "Well, I am not going to say much until I know for sure. I'll have a lot to say on Tuesday. "I feel like we've done absolutely all we can. But again, I think less is more at this stage. Our job is to deliver the undisputed fight. It's been frustrating and I think people are beginning to see the truth. But again, I'll be quiet for now and let that truth unfold. "I spoke with AJ on the days of those meetings [about the potential fight with Wilder], he was just like 'let me know'. He doesn't want to bring himself into that line of thinking before June 1. This is heavyweight boxing. You've got Jarrell Miller down there in Miami, I am watching him in camp, he's training like a man possessed because it's his chance to become world heavyweight champion.